Professional carpet cleaning in Grays Harbor, Thurston, and Pierce counties. 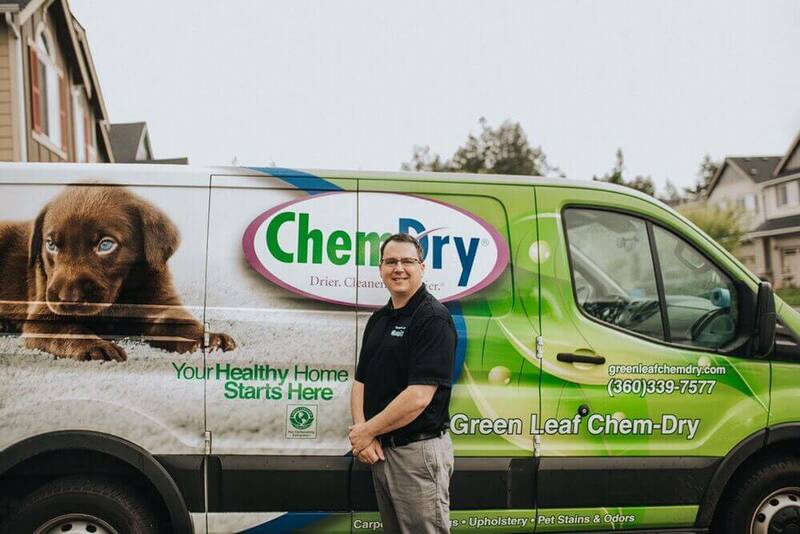 Green Leaf Chem-Dry is one of the leading carpet cleaners in the Olympia, WA area, and it’s easy to see why. Our unique Hot Carbonating Extraction (HCE) process delivers a deeper, longer-lasting carpet cleaning, all with much shorter drying time. Combine that with our green-certified solution that is all natural and safe for your kids and pets, and you get the most ideal carpet cleaning service. Why trust anyone else in your home when you can choose Green Leaf Chem-Dry and get a drier, cleaner, and healthier clean? Schedule a Carpet Cleaning from Green Leaf Chem-Dry Today! Because we use a low-water method, there is far less risk of mold and mildew growth under your carpet that often results from the excessive water used by steam cleaning machines. This means your carpets are healthier for you, your family, and your pets. We use an all natural, green-certified cleaning solution that does not contain any harsh soaps or chemicals and is completely safe and non-toxic for children and pets. 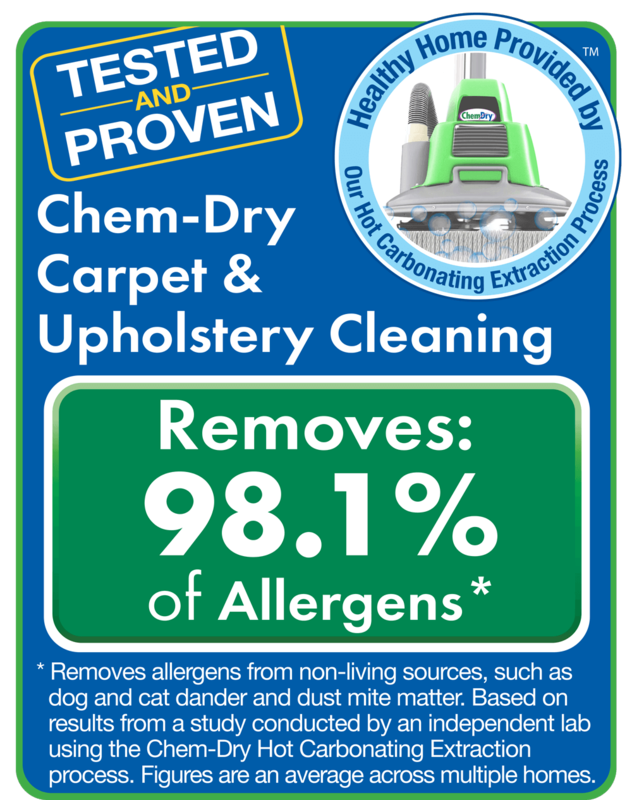 If that’s not convincing enough, an independent air quality lab found that our HCE method removes 98% of common allergens in your carpets and upholstery, and when a sanitizer is added, 89% of bacteria is removed for your indoor air*. That adds up to a safer carpet cleaning that is healthier for you, your family and your Washington home. I am very satisfied with their work. Jim came on his day off because we were on a deadline. He gave us a solid estimate and even added on some extra services at no additional cost. He was on time, courteous, and very hard working. Our carpets have never looked so good. I will definitely use him again. So how unique is Chem-Dry, exactly? To find out how big of an impact a Chem-Dry cleaning can have on home health, we thought it would be helpful to measure how effective our cleaning process is.